We took a drive down to the “Southernmost Bakery in the USA” when we went to the Big Island of Hawaii with Islander’s ohana (family). Punaluu Bake Shop was where we all stopped for snacks and stocked up on sweet breads. We loved all of their light, fresh-baked fluffy loaves—traditional Portuguese and guava and taro flavors. Having made “mainland” poi for an earlier blog recipe post, Islander decided to use up the leftovers and bake bread inspired by the one from Punaluu Bake Shop. 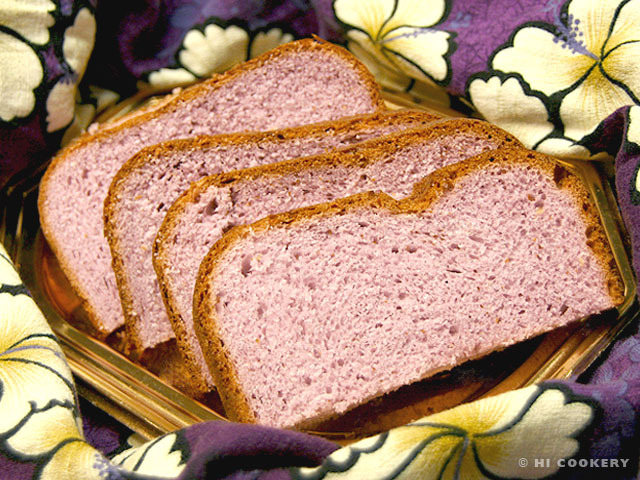 It turned out to be a tasty taro bread with a pretty purple hue! 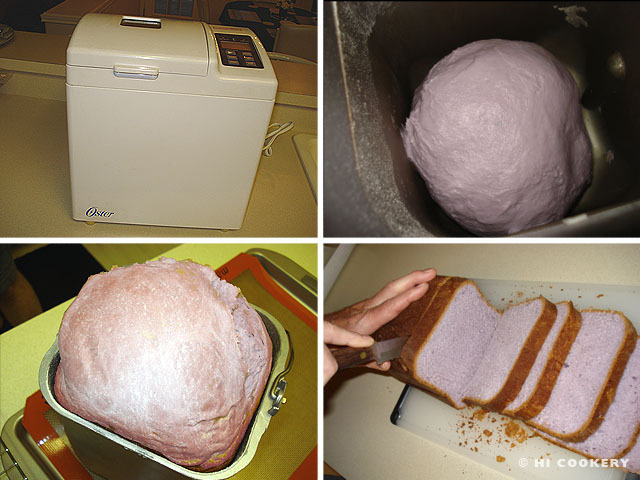 Prepare poi (taro) bread in a machine for a sweet and simple loaf with a tropical touch. It is a unique and onolicious way to observe National Homemade Bread Day. In the container of the bread machine, place the water, yeast, sugar, butter and egg. Spoon in the poi. Add the purple food coloring, if desired. Top with flour and salt. Place the container in the bread machine. Set the bread machine to a large (2 pound) loaf, as this bread rises high. Select the cycles for sweet or white bread with a light crust. Press to start. 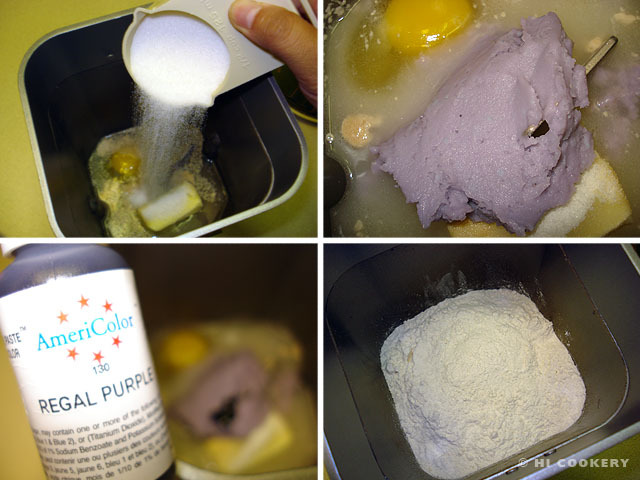 Notice that the purple color blends nicely into the dough. Let the bread machine continue kneading, rising and baking. Remove the baked bread from the container. Cool completely before slicing. See our post on poi and poi pancakes on National Pancake Day on September 26. Hawaiian sweet breads make excellent French toast! Prepare them pain perdu style with our recipe. Or cook them into a casserole for breakfast on National French Toast Day on November 28.